The report was published in April 2019 and is now available for purchase. 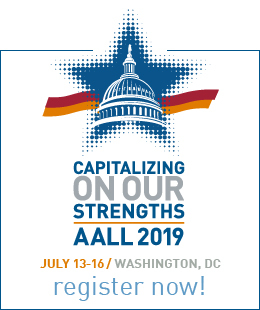 After working over the course of many months and with additional members of the law librarian community, AALL’s State of the Profession Advisory Group launched the inaugural AALL State of the Profession Survey. The ultimate objective of the survey was to deliver a report to identify, clarify, and support the value of your individual and collective roles. The survey aims to understand the impact of significant challenges we have faced while shining a bright light on our unflagging commitment to delivering outstanding services to our communities and advancing the legal information profession as a whole. Separate instruments were created for academic, government, and private/corporate law libraries. Invitations were sent November 8. The deadline to respond was December 14, 2018. AALL contracted with Association Research, Inc., (ARI) for this project. Information provided to ARI was kept confidential. 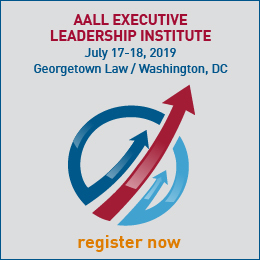 The survey was intended for all AALL members with expertise in law libraries and equivalent organizations–including those who are unemployed and underemployed. We also sought to reach others with experience in these settings who are not AALL members. If you have questions, please contact Director of Content Strategy Megan Mall.